A ruling ordering Apple to help the FBI access the iPhone of San Bernardino mass shooter Syed Rizwan Farook could make it impossible for the company or any other major international IT vendor to safeguard users’ privacy anywhere in the world, U.N. High Commissioner for Human Rights Zeid Ra’ad Al Hussein said Friday. A decision against Apple would be “potentially a gift to authoritarian regimes, as well as to criminal hackers,” Zeid said. Authorities in other countries have already made efforts to force IT and communications companies such as Google and BlackBerry to expose their customers to mass surveillance, he added. Zeid’s statement is a shot in the arm for Apple’s appeal in the case. A magistrate judge in the U.S. District Court for the Central District of California, Eastern Division, has ordered Apple to provide technical assistance, including possibly signed software, to help the FBI use brute force to crack the passcode of the iPhone 5c used by Farook in the San Bernardino, California, attack on Dec. 2, without triggering an auto-erase feature. A number of U.S. tech companies and civil rights groups including Facebook, Microsoft and Google on Thursday filed briefs in support of Apple in the California court. The opinion of the commissioner, which carries considerable weight worldwide, is at best a recommendation and has no direct bearing on the proceedings of the court. It is, however, likely to give stimulus to growing opposition to the FBI’s effort to force Apple to deliver technology to help crack the iPhone—a move that would set a bad precedent and be “too dangerous to do,” according to the company. The FBI is concerned that without a workaround from Apple it could accidentally erase data from the phone, which runs iOS 9. But Apple holds that the FBI is asking it to make and install a new version of the iPhone operating system, circumventing several important security features. 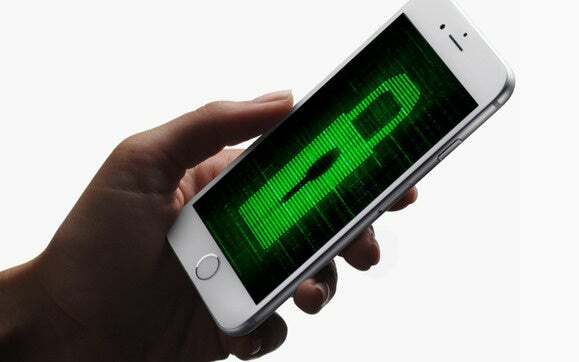 Apple CEO Tim Cook warned that in the wrong hands this software, which does not exist today, would have the potential to unlock any iPhone in anyone’s physical possession. Zeid said that the FBI deserves everyone’s full support in its investigation into the attack, which led to the death of 14 persons. But there are many ways to investigate whether or not the killers had accomplices “besides forcing Apple to create software to undermine the security features of their own phones,” he added.